Take time to view the pictures that customers have sent to us and their testimonies. Registration fee for each class includes the Basic Kit and some materials needed for that class. Other materials needed will be provided at no cost to students. Once your registration deposit is received, you will be contacted by e-mail or phone. Please register at least two weeks before the class date. Murals and Faux Painting, Inc.
*A fee of $25 is charged for any bounced check. Balance is due at the beginning of the class. Can be paid with check, cash or credit card. For now all classes available are close to Miami - Ft. Lauderdale area only. Faux painting classes are adapted to your experience.Our classes are limited to 3 students at one time so you get the attention you need. Hands on instruction will enable you to perfect various faux finishing techniques quickly. You can ask many questions and not feel like you are holding back other students. This is the perfect learning environment where you won't feel inadequate or intimidated. 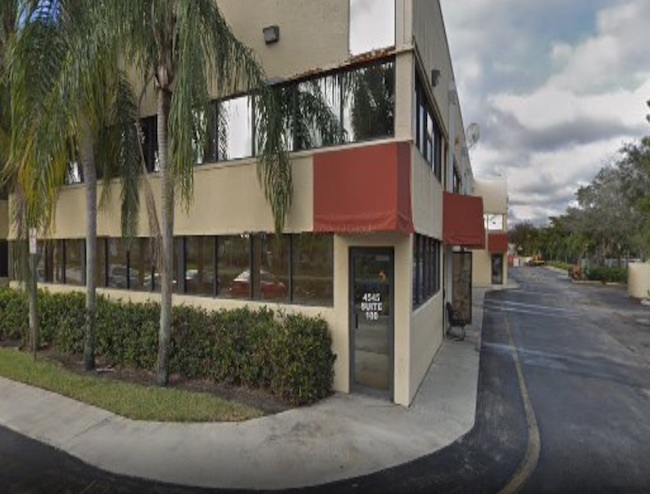 4545 N. W. 103 Ave.
* From I-75 take Sawgrass Expressway to Oakland Park Blvd. * At Hiatus, go left. * At 44 St., go right. * At 103 Ave, go left. 2nd building on left. Registration must be in 7 days before. MATERIALS NEEDED FOR THE CLASSES ARE COVERED WITH REGISTRATION FEE. Get a FREE KIT ($40.00 value) after taking 3 classes. Buddy Class Discount - Sign up with a friend and get $25 off next class. Combination Class Discount - Take MORE THAN 3 CLASSES and get $90 off of the 4th class. Learn how to faux paint the 2 most requested faux finishes there are in multiple colors. Get different ideas how to incorporate stripes for interest. You will even learn how stencil in multiple colors at the same time. Practice how to properly do corners and tight spaces. Learn the easiest and fastest way to faux paint a brick wall. Get different ideas how to make them look real or stylized. Learn how to faux paint faux tile, too. Discuss how to properly measure walls to tape off the grout lines. Learn the easiest and fastest way to faux paint with a rag or sponge. Discuss how to properly do corners and edges. Ragging is still a popular, simple but elegant way to add a texture look to any wall. Learn how to apply a faux finish using a rag or sponge with multiple colors at the same time. Learn how to faux paint 4 types of marble, using a variety of tools to achieve these popular faux finishes. Discuss how to properly prepare surfaces such as counter tops. Learn how to faux paint 3 types of wood, using a variety of tools to achieve these popular faux wood finishes. Discuss how to properly prepare surfaces such as garage doors and cabinets. Simulation of painting a front door with door knobs. With our DVD faux painting kit, you can have your own personal workshop. So, if you live too far away, don't despair. You can now learn how to faux paint at home! There are complete, step by step instructions for the most popular faux finishes on the market. Play back the lessons over and over again. 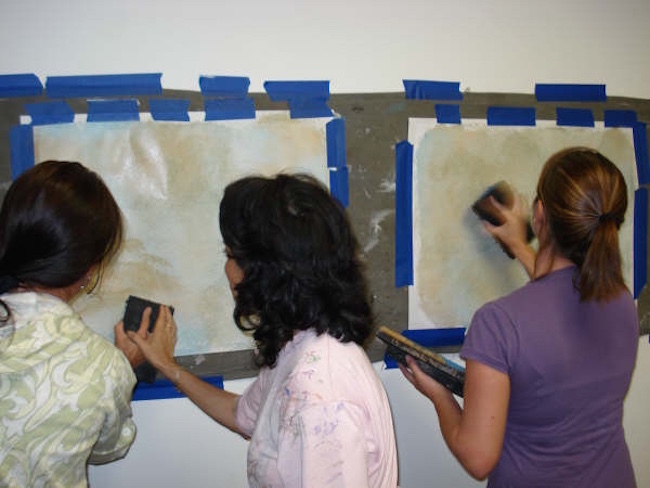 With practice, you will attain the skills of a professional faux painter in no time. Part of the Patented (#7472450) Triple S Faux Painting System. *Get FREE Faux Painting Color Suggestions and Idea E-Book! For a limited time...Order your Faux Painting Kit today and get a FREE Color Suggestion E-Book as a .pdf file that will be emailed to you. You can view it on your computer or download. Watch previews of the DVDs you are purchasing. You will be amazed at how you can achieve the most popular faux finishes in the market with less mess. There are other faux painting videos we have included that are not part of the DVD faux painting kit that you are welcomed to view, also. Bookmark our website to keep current with new ideas and products.